How does MarCELL PRO work? You can also go online to view and download historical information, set up safe ranges and alarms. WHat is the difference between MarCell and MARCELL PRO? MarCELL PRO was designed for the more advanced, often commercial user. It includes additional features and capabilities which enable a greater range of use. Ability to create "read only accounts"
Adapter to convert SPUCK water sensor to "normally open dry contact sensor"
Do I need to set up cellular service? No! MarCell PRO comes fully activated and ready to go with either Verizon or AT&T as service providers. We handle all the data usage contracts and working with the cellular companies - no need to add this device to your plan or contact a provider! Can I move MarCell PRO to other areas or buildings? Yes! MarCELL PRO is not tied to any one location. You can move the unit to other locations and even rename it if you like online. ​How often does MarCell PRO report in with data? 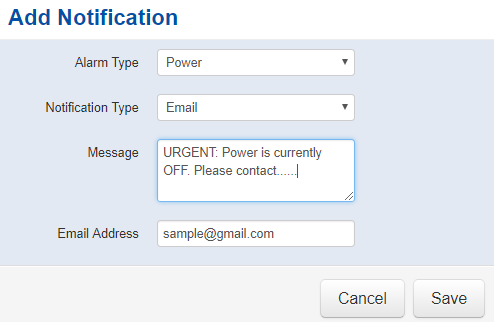 Although MarCELL PRO continuously looks for if the alarm condition is being met and will immediately send out alerts - historical data is only sent to the online portal about 3X per day. MarCELL PRO records historical data every 30 minutes or documents any time an alarm condition is newly met. For example: If an alert threshold is set at 80 degrees - MarCELL PRO unit is checking its temperature every about 8 seconds to verify the temperature has not exceeded this threshold. If at any point the temperature does exceed this threshold - MarCELL PRO connects online, dispatches your alert and logs the event and historical information. However if MarCELL PRO does not sense a threshold has been exceeded it simply collects data at 30 minute intervals and uploads this data online 3 times per day. This is done to reduce the amount of data connections and keep monthly service low. What does MarCELL PRO do? MarCELL PRO unit continuously (roughly every 8 seconds) ​ compares its environmental readings vs. alarm thresholds. Unit instantly connects online and dispatches the alert set up by the user. It also uploads and logs the most up-to-date history. Unit captures and logs conditions every 30 minutes and reports back historical trend data 3 times per day - or until an online user requests an "update now". ​How much is the monthly cost? 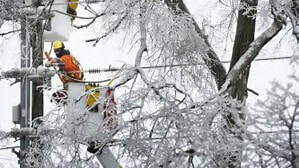 Monthly costs are $14.95 billed annually. This includes all notifications, unlimited historical data storage, and cellular connection data fees. No need for phone lines, wifi or to contact your cellular provider. How do the water sensors or SPucks work? Water sensors or SPucks are able to connect to the MarCELL PRO unit and report back if they sense water. You can connect up to 16 SPucks to any MarCELL PRO device and depending on the make up of the building - can be up to 200 feet away. SPucks are self contained units with a coin battery designed to last 3+ years. Your MarCELL PRO unit also monitors the "paired" SPucks battery level so you can view it online at anytime. 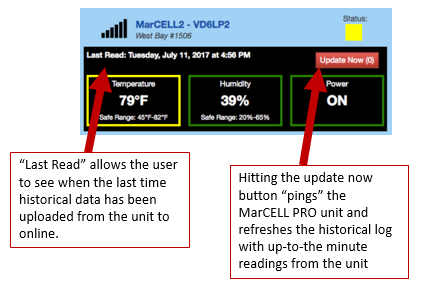 How does MarCell PRO communicate a power outage? MarCELL PRO contains battery backup which is able to establish a cellular connection and dispatch an alert even when the power is out. Why is MarCell PRO more secure than other products in the market? Since MarCell PRO comes fully provisioned on a separate cellular network, it eliminates any risks associated with tying into an existing network. No need for IT installation, firewalls, establishing a static IP or worry about security. ​Why not install a full monitoring and control system? As neat as full building monitoring systems are - they cost thousands of dollars to install and even thousands of dollars every year to maintain. At the end of the day - the most value comes from quickly knowing an issue has happened and being able to send someone out to take a look! How do notifications or alerts work and get set up? 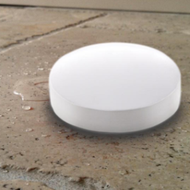 Alerts can be set up for humidity, power, temperature and (if SPucks are installed) water. First step - is to set up safe ranges within both humidity and temperature. Second - you can set up 9 custom alerts for any of the items monitored. Customize the message to whatever fits your needs! What if I'm unhappy with MarCELL PRO or don't get service where i need it? MarCELL PRO comes with a 30 day satisfaction guarantee. If you dont get service or just generally unhappy with your purchase - feel free to contact us and return it! Can SPucks be used to monitor anything other than water or flooding? Yes! Water Sensor SPucks come with a 2 wire adapter to convert the sensor from a water sensor to essentially a "normally open" dry contact. 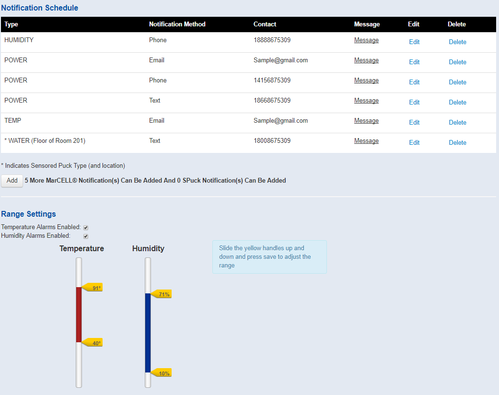 Not many users will need this feature but it can be used to monitor items such as a common alarm point within a HVAC or electrical piece of equipment. Essentially when the device signals an alarm and closes the connection - the SPuck senses a failure (like it would if water would close the contact as well). Keep in mind - SPucks should only be used for a use such as an alarming point since once tripped in alarm mode - they would keep tripped for approximately a day or until physically being reset. (So they wouldn't work to monitor something like entry into a room unless entry was very rare).